I get asked all the time about dairy, and the mythical benefits it supposedly has. While we do not advocate including dairy on a regular basis in your diet, for reasons mentioned in the video, it seems virtually unrealistic to live EVERY DAY without having the delicious dairy goodnesses like cheeses and yogurts. Watch below and leave me a comment about what you think! It happens to each of us... It strikes out of no where... All of a sudden... BAM! You have a craving! Something salty, something sweet, or something fatty... Doesn't really matter, cause all you know is that you want it NOW! Some believe cravings are struggles that one needs to "get" through to become stronger, however I believe cravings are our body's way of telling us we need something nutritionally. However, most simply don't pay attention to what their bodies are telling them and they just eat whatever they feel like, usually giving into the cravings. The first thing to consider is the level of toxicity in your body. 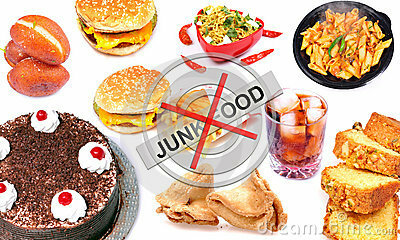 We accumulate toxins throughout our lifetime, finding storage in our blood, muscles, and organs. This is commonly referred to as free-radical damage, and this comes from the air around us, the foods we eat, basic body processes, stress, and aging. Because of this free-radical damage, our bodies cannot function optimally, and always looking to eat and get nutrients from what we eat next. The second consideration is potential blockage in your intestines. Imagine if you have a garbage can, and you don't put a liner in it. You start to throw trash into it, and when it's full, you take it out. So you dump it out, but don't clean it out. After a few weeks of doing this it might not be so bad, but, after years and years you can imagine how disgusting it will get! Well, because of that blockage, our bodies are not able to absorb the vitamins and minerals it needs. This causes our bodies to signal to our brains "Hey! I'm still hungry! I'm not getting what I need!" So, we give in to whatever foods are around us. Every person needs to cleanse about 2x per year. This will take care of these issues mentioned above, and then you can move on. I have done anywhere from 3 day to 10 day to 28 day detox cleanses, all to some varying degree of intensity. If you have never done one before, it really doesn't matter where you start, except to say that you should definitely start! Today if you can! And if it's been 6 months since your last cleanse, then do another one soon. Email me at lisa@synergykt.com if you would like some recommendations on where to start. *If you are craving chocolate, your body may be craving the fat. This might be because your caloric intake is too low. Some quick fixes for this would be to have a handful of nuts, or have the chocolate (just make sure it's 85% or higher with no soy). *If you are craving chips, your body may be craving salt. Salt is needed to balance the water in our bodies. Since our bodies do not produce this necessary element, we must get it from food. Sprinkle a little sea salt on to your salad! *If you are craving a steak, your body may need iron. An iron deficiency can be linked to anemia. Have a large amount of dark leafy greens! Some of our cravings can be emotional. Perhaps you are feeling stressed so you reach for that comfort food that reminds you of a warm childhood memory. Or you might be feeling sad, so you go for a pint of Ben & Jerry's. Elevated cortisol levels (the hormone released when stressed) have been linked to a desire for high fat and sugary comfort foods, and both together lead to weight gain. Reducing stress is key, and possibly seeking out a therapist (I have a couple I can refer to you) to work through some issues may be beneficial in helping you to completely conquer your cravings once and for all.